Whether performing to 2 or 2000 people, Jason creates long lasting memories with his finely tuned skills and gracious rapport. With a highly developed sense of intuition Jason Escape achieves miraculous wonder. This is pure magic. Pure entertainment. 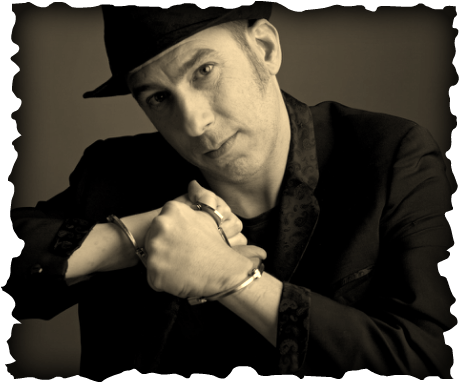 Through various demonstrations and experiments involving the entire audience Jason takes people through his intuitive process and shows examples and proof of his amazing abilities. Stage show length varies on the venue and event. Jason offers his skills in a more intimate setting with his strolling mind reading. Jason mingles with guests, demonstrating his amazing abilities of magic and intuition. When appropriate, he chooses to entertain everyone at once, for a few moments, as a way to ensure that every guest has received his unique style of entertainment. Weddings, Engagements, Resorts, Corporate Parties, Intimate Gatherings, Bars and Clubs, Special Events and Promotions, Trade Shows, University and School and more!